Who: A restaurant franchise originally from Singapore. How: Service is solid. Despite the large restaurant space, waiters are mostly attentive and are ready to give food recommendations when asked. 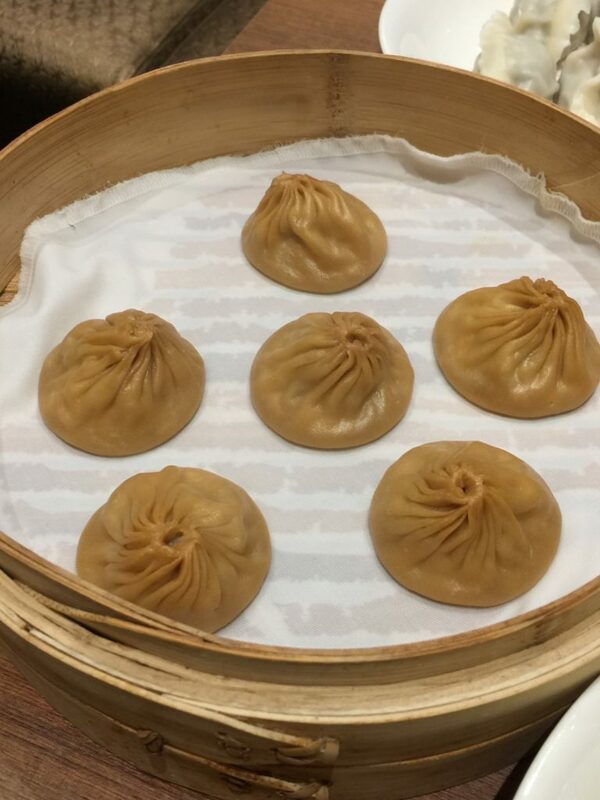 Xiao Long Bao – The wrappers are well made, appropriately thin and it keeps the soup inside. Soup is very flavorful, not too sweet. I’m a classic guy but the restaurant offers a lot of flavors. I would recommend getting the regular one, but if you like them flavored, the crab fat or the foie gras ones go well with the soup. 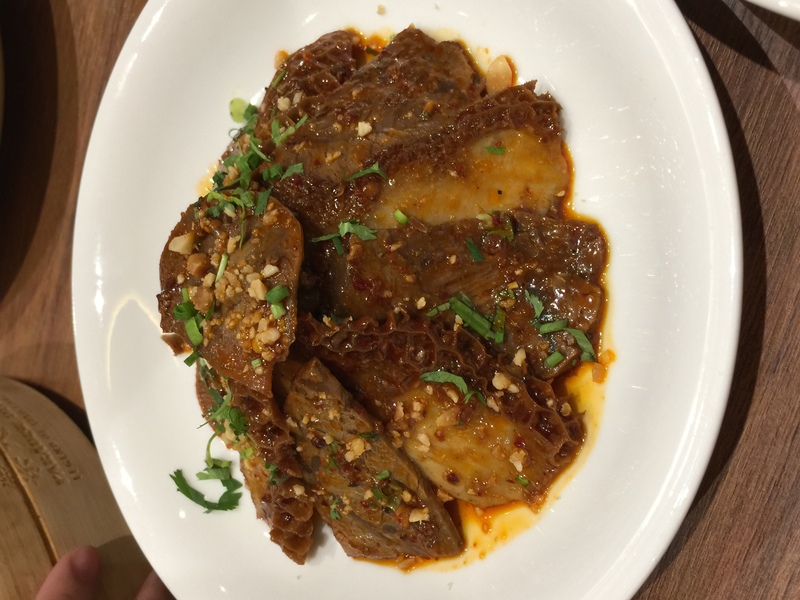 Spicy Tripe and Beef – Served cold, this is one of my favorites. 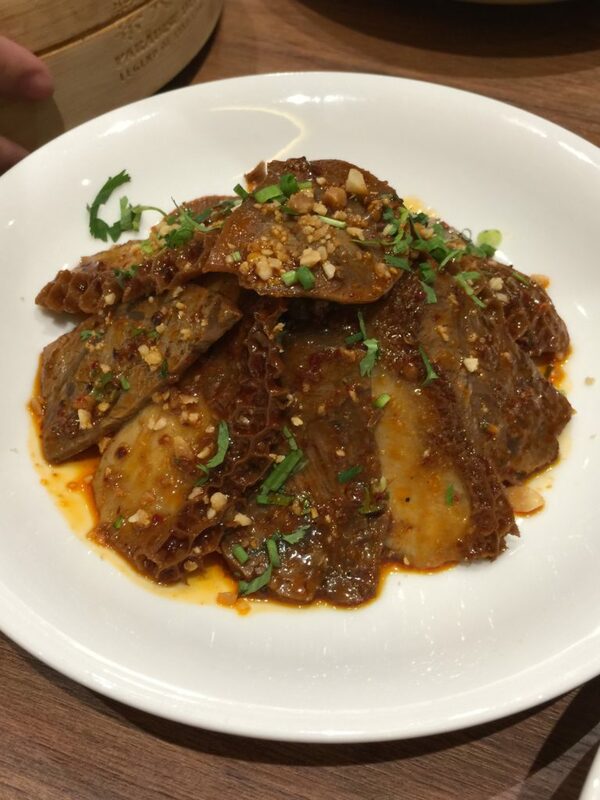 It gives off the “Mala” spiciness that Szechuan cuisine is known for. It gives the spicy heat and it also gives of the tingly heat that tickles your tongue. The tripe is a bit chewy, which is something I really appreciate, but I understand it’s not for everyone. Give it a try though. 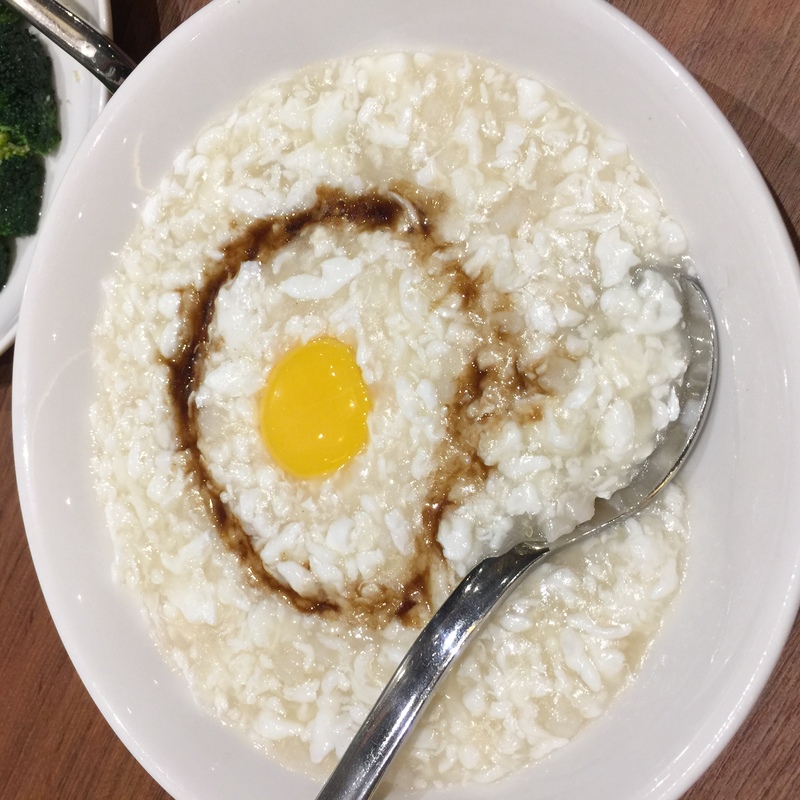 Scrambled Egg with Fish and Conpoy – Definitely my favorite. 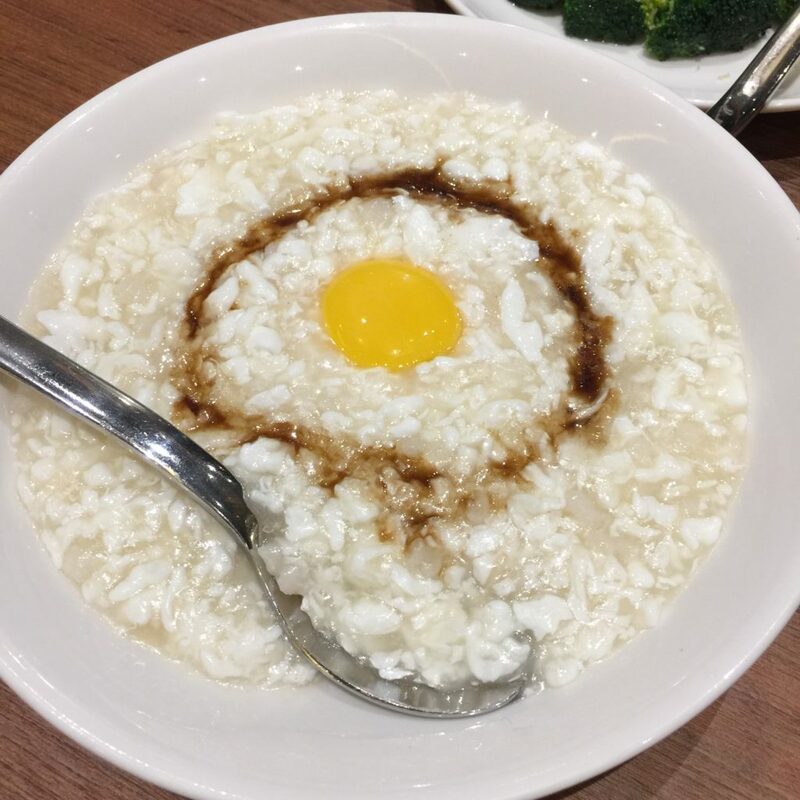 The egg whites are cooked perfectly so they remain fluffy and soft and the fish and conpoy (dried scallop) are enhanced with the raw egg yolk that gives the dish a luscious and rich taste. Add some black vinegar to make the flavors pop. This and rice and I swear you’re good. 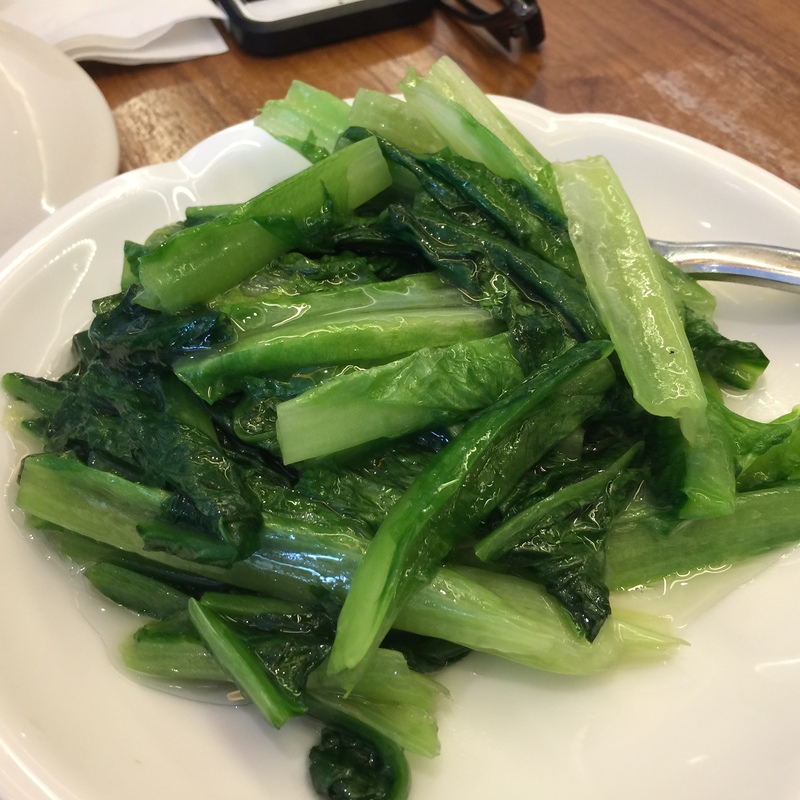 Steamed Lettuce with Garlic – Lettuce! Who knew? While I’m not sure this is still available, they do all their vegetables well, whether it’s lettuce or brocolli or kailan. 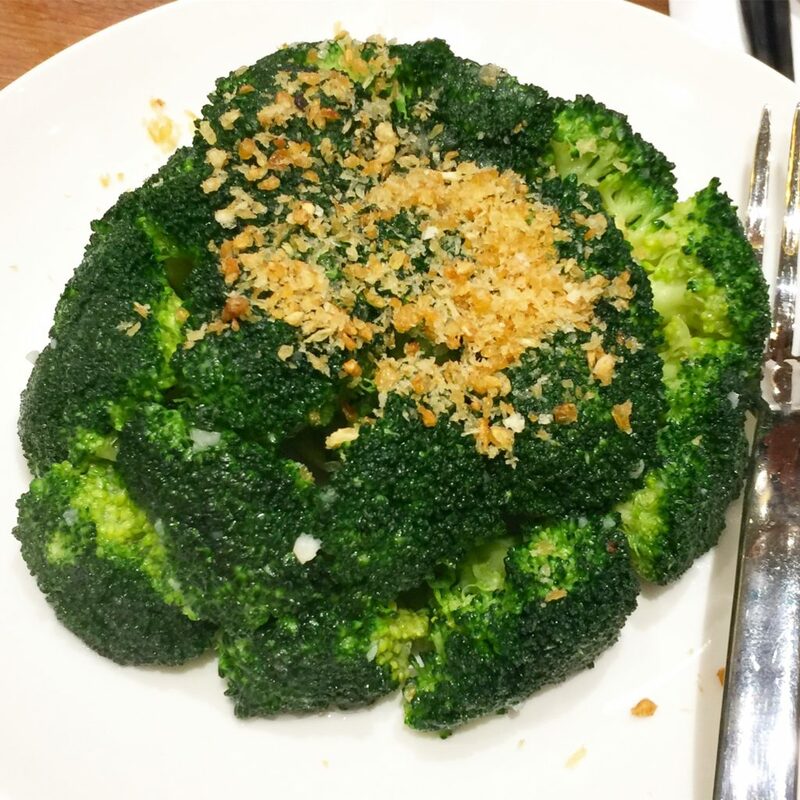 The veggies remain crunchy and bright green, which means they are cooked well and the garlic flavor really comes through. Why: Both the food and the service are pretty good. I love the interiors as well. 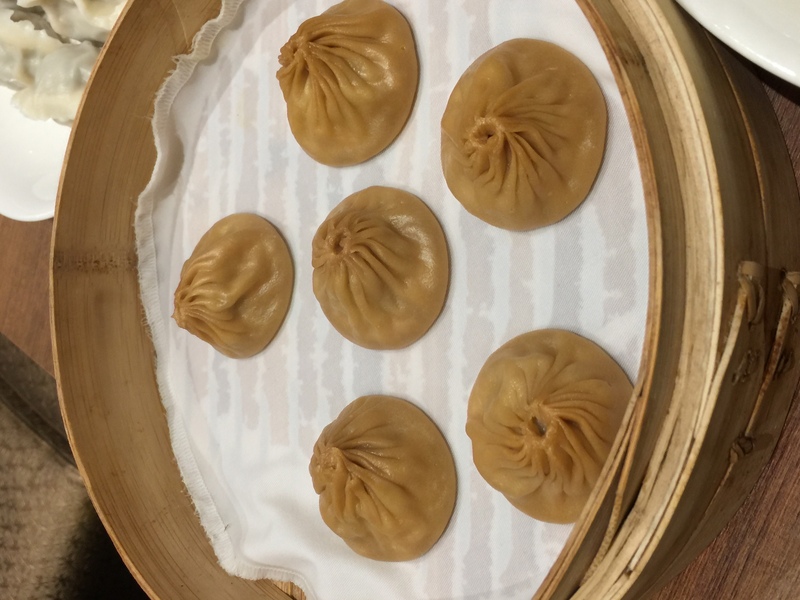 As a friend put it, “you’ll feel like you’re in a different place.” This is definitely a great place to go to when you’re looking for well made Chinese food (especially Szechuan) but you don’t feel like going to a hotel or the bigger Chinese restaurants that specialize in old school Chinese lauriat feasts. Deets: I visited the place 4 times anonymously and I paid for the meal all except for one time when my manager treated me to lunch. I also was able to dine in both branches.